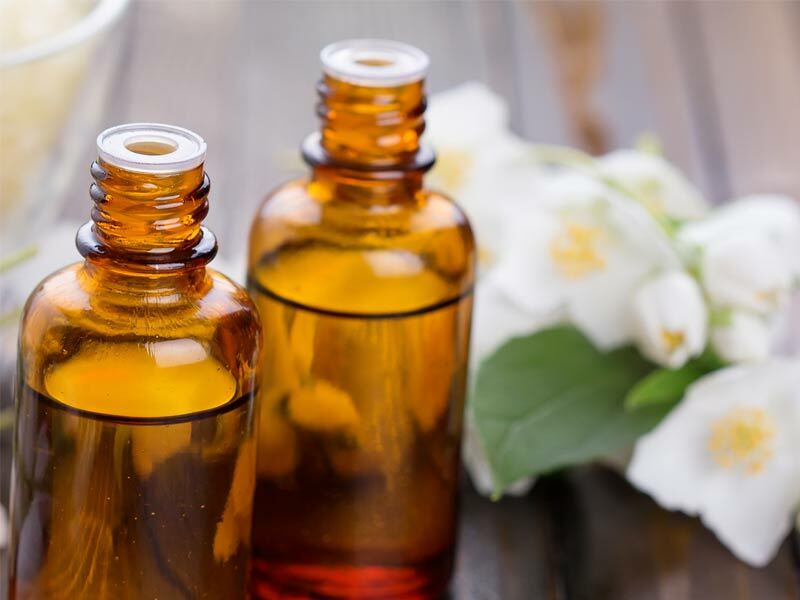 Scented with Jasmine blossoms and mixed with a base of either green, white or black tea, Jasmine tea is highly aromatic with a hint of sweetness. Thought to have been introduced into China from eastern South Asia around 206 BC during the Han Dynasty, the jasmine plant has been flavoring tea since 1644, when the Qing Dynasty began exporting it. Enjoyed throughout the world, the Jasmine tea with the best reputation is produced in the Chinese province of Fujian, although many other provinces and Asian countries also produce this tea. When the flowers bloom in late summer, they are picked fresh early in the morning, then at night the buds open and release their fragrance. This is when the flowers are either blended or layered with the base tea and left overnight to infuse with the sweet aroma. More than four hours are needed for this scenting process and top-grade blends are often treated with repeated steps to increase the potency of the tea. Then the blends are left to dry so that spoilage is minimized. The species mostly used for creating this tea are Jasminum officinale or common jasmine and Jasminum sambac, known as the Sampaguita. Packed with antioxidants and properties associated with boosting the immune system, Jasmine tea is delicate and gentle on the palate. In Chinese tea customs, Jasmine tea is served to welcome guests. This unassuming tea was once only served to royalty but is now enjoyed all over the world. Taking into consideration that there are various grades and strengths available, Jasmine tea comes as either a loose or bagged product and you can purchase it rolled, like Jasmine pearls. There is also an extract which can be added to other liquids if you prefer not to brew a tea. Like most tea, one or two teabags should suffice, or if you’re using the pearls or loose tea, one or two teaspoons per cup. If you’re drinking the tea for its health benefits, wait a few minutes after the water has boiled before pouring it over the tea, then steep from three to ten minutes, depending on the strength or grade. If you want a sweeter tea, add honey, sugar or your choice of alternative sweetener. Milk can be added, but most tea sippers prefer Jasmine tea without it. The flavor of this tea is slightly dependent upon the base used to produce it, like black, white or green tea, as well as the different types of processing. Jasmine tea has gentle, floral notes and can be sweet, subtle and delicate. With a somewhat grassy finish, this tea is a pale golden or yellow color. Many types of Jasmine tea have varying levels of caffeine, depending on the base, as mentioned earlier. Ranging from lower levels found in green tea to higher amounts in black tea, the caffeine content can be assessed accordingly. Make sure that the tea you purchase is high quality and sourced from reputable and sustainable producers. Also ensure that you brew fresh Jasmine tea, as staleness makes a poor cup of tea. Some say that using spring water is best for a fine cup of Jasmine tea and that the tea can be bitter if the water is too hot or steeped too long. According to Organic Facts, there are many health benefits associated with drinking Jasmine tea. When it comes to health benefits and tea, it’s important to keep in mind that they vary in terms of how well studied they are, or how those studies are interpreted. If you’re having health problems, it’s a good idea to talk to your Doctor. In most cases, tea isn’t going to make anything worse, but it’s not a replacement for professional medical guidance. Improving Digestion – Gastrointestinal and bowel disorders are apparently alleviated with the use of Jasmine tea, due to the beneficial interaction with enzymes in the gut, bringing relief and better core health. Lowering Cholesterol – When dealing with bad cholesterol levels, Jasmine tea contains antioxidants that inhibit LDL-oxidation, which helps with decreasing inflammation of the veins and arteries, as well as blood pressure. Eliminating Bacteria – The high level of antioxidants in Jasmine tea assist with fighting bacteria, boosting the immune system and eradicating free radicals. Easing Inflammation – Dealing with pain from issues such as joint and muscular discomfort, inflammation can be relieved when drinking Jasmine tea, which helps reduce swelling. Preventing Diabetes – With the ability to metabolize glucose, Jasmine tea supports the reversal of many harmful effects of diabetes. Some say that this tea acts as a regulator of blood sugar levels, assisting with good health practices. Reducing Stress – Even though some say it’s an acquired taste, certain studies show that the aroma of Jasmine tea is helpful in promoting relaxation and protecting the heart and nervous system. Losing Weight – It is believed that Jasmine tea increases the metabolism, due to its antioxidant properties, which helps the body assimilate nutrients at a faster rate, making exercise more effective. Though the origin of Jasmine Tea has been up for debate over many years, we are certain of one thing: it’s a crowd pleaser due to its intoxicating floral fragrance, mild flavor, and the laundry list of potential health benefits of jasmine tea. Most teas found in your local grocery store fall into the green tea category, though, there are white, oolong, and black tea varieties out there for those not too keen on green, that include jasmine. Aside from having a versatile base, what is it about Jasmine tea that makes us love it so much? 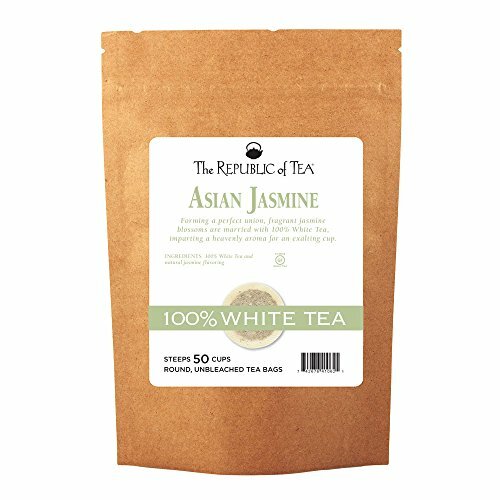 Jasmine is one of the more popular floral types of tea. 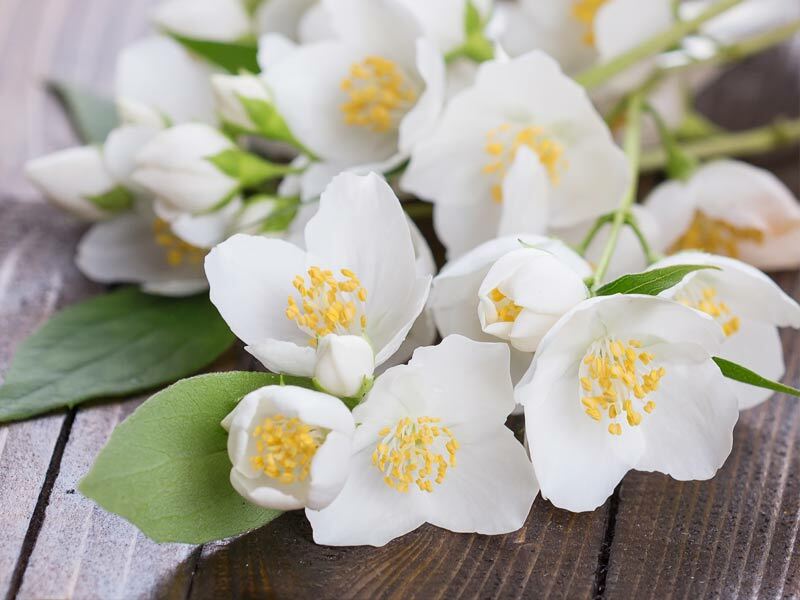 Jasmine is an intensely sweet-smelling vining flower or flowering shrub (depending on the species) and its scent has often been associated with femininity, romance, and stress relief. All of these qualities attribute to many religious and cultural ceremonies that celebrate this delicately delicious flower. Whether the flowers themselves have been dried and incorporated with green tea leaves or the essence of the flower has been extracted and added to green tea leaves, the aromatic effects are similar. So, if you’re ever feeling overwhelmed or just want to feel good, brew some Jasmine Tea and take in a deep breath before sipping. You’ll thank me later. Since most Jasmine Teas have a green tea base, we can’t dismiss the health benefits that green tea lends; one being the polyphenols found in green tea. Polyphenols aren’t just antioxidants that aid in heart health, they also help fight off harmful bacteria that contributes to upset stomach and indigestion. Chances are if you introduce Jasmine Green Tea (or any green tea for that matter) to your daily diet, you’ll have a happy gut- and a happy heart, too! We’re going to circle back to polyphenols for a minute cause they really are one of the biggest contributors when it comes to how awesome this Jasmine Tea is. One of the polyphenol types found in Jasmine Tea are called Flavonoids. Flavonoids enhance insulin secretion, regulate glucose metabolism, improve insulin sensitivity, and increase glucose uptake by cells. Most individuals in the western world struggle with balancing their blood sugar and I can’t think of a more enjoyable way to stay balanced. A gooseneck spout promotes a steady pour without any spillage. Gooseneck kettles can be found online and are fairly inexpensive if you opt for the non-electric ones. Though, many prefer electric in order to set the perfect temperature of 180F and for the water to heat up in seconds. Why 180F? Why not the boiling point of 212F? Jasmine Tea is very delicate and can be easily over-extracted, resulting in a bitter tasting tea. Now, you might think a scale is a little overboard- but trust me on this. Tea leaf to water ratio can make or break your tea. For the perfect cup of Jasmine Tea, there’s typically 3 grams (about one teaspoon) of tea leaf to 8 ounces of water. You could always eyeball it, which is totally acceptable. Keep in mind that results may vary depending the type of tea you choose. If you opt for an electric kettle and/or an electric scale, it will likely have a built in timer. For optimal Jasmine Tea extraction, steep no longer than 5 minutes. A common misconception is that a longer steep time will result in a stronger flavor. Tea steeped longer than 5 minutes will result in a bitter tasting tea. Now, go forth and enjoy your jasmine tea!